In this week’s digital news roundup we’re talking about Mark Zuckerberg’s encounter with Congress, the prime length for online ads, the success story that is inclusive emojis, and how Google have launched a new Reach Planner to help advertisers. If you’ve been keeping up with the Cambridge Analytica scandal, then you probably heard that Mark Zuckerberg went up against a Congressional hearing this week. And boy, it wasn’t pretty. We previously covered the impact of the data scandal on the social media market, and now Zuckerberg was forced to defend Facebook’s place at the head of the table. Split across two days of questioning, with a combined 12 hours of testimony taking place in Washington DC, it was a grueling event for the 33-year old entrepreneur. Coverage of the hearing has been varied, from focusing on the ‘billionaire booster seat’ Zuckerberg chose to sit on, to highlight some of the more awkward lines of questioning that the mogul faced. One thing’s for sure, the man behind Facebook faced some tough interrogation from the committee, questioning both how the company handles data privacy and other powerful topics – such as hate speech and international issues. You can also find out if your data was shared with Cambridge Analytica by using this Facebook tool. Knowledge is power, after all. Earlier this week the New York Times got hold of a letter signed by 3,000 Google employees, urging the company to remove itself from working with the Pentagon on technology that could help drone strikes. The employees, including senior engineers, addressed the letter to Sundar Pichai, Google chief exec, saying that they want the search giant to withdraw from Project Maven – a pilot programme using AI to analyse video images. The letter is quoted as saying: “We believe that Google should not be in the business of war”. Google however is defending its involvement, saying the project was scoped specifically “to be for non-offensive purposes”, and that the tech is used to flag images for humans to then review, reducing tedious workloads and potentially helping to save lives. With a long-standing company motto of “don’t be evil”, Google faces conflict when it comes to balancing its work in advancing tech while maintaining its core values – and keeping the public’s trust in a world that’s increasingly sceptical of digital powerhouses. Read more about the story in The Telegraph. Ads are a hot topic in the marketing world, and getting them right is often key to success. 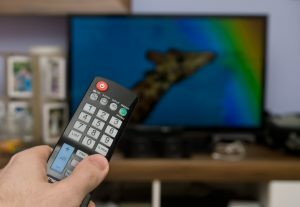 According to Marketing Dive, new research has found that 38% of consumers in the US think that online ads should be shorter than TV ads, while a quarter of consumers think they should be the same length. The study agreed that users typically want “shorter, more concise online video ads”, but some fear that this can stifle creativity. Perhaps it just presents a challenge to brands – make a connection in a shorter format, and you could be onto a winner with online audiences. Google update alert! 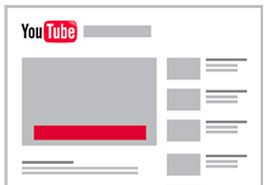 Last week in our roundup we talked about the new YouTube TrueView for Reach ads, and this week sees another potential boost to the way in which marketers use the video platform. Dacheng Zhao, Product Manager of Video Ads, announced the update on the AdWords blog this week, explaining that a new Reach Planner tool is being introduced in AdWords. The tool will mean advertisers can “forecast the reach and frequency achievable on YouTube and across Google’s video partners, in over 50 countries”. On top of being able to use this new tool to simplify the planning process, a new feature called product mixes will help to make life even easier – by showing which YouTube ad formats will work best together to help you achieve your goals. 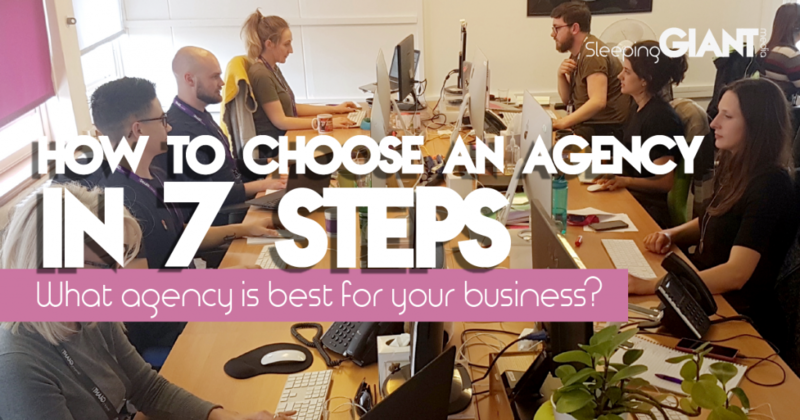 This advice will be based on users entering their marketing objective, budget and ad preferences, with a solution offered that fits the criteria. This insight on which formats work best together, along with the ability to forecast reach, should allow brands using YouTube as part of their strategy to see more success against their goals – and allow brands not yet using YouTube to see if it could, in fact, work for them. Back in 2015, the internet world received inclusive emojis. At the time, concerns were sparked around their potential to be misused – either in an abusive manner or to stoke racial tensions. However, these fears appear to have been unfounded, as a recent study by researchers at the University of Edinburgh has found that the inclusive emojis are in fact helping people to feel more included online. This year saw redheaded emojis being confirmed as a new addition, following a year-long campaign, so what’s going to be next? I spoke to my team, and they agreed that more variations in skin and hair colour would be great; darker skin doesn’t always mean darker hair, after all. 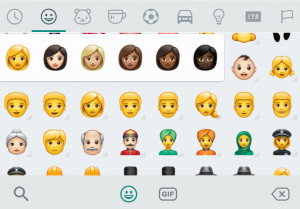 As someone who frequently changes her hair colour (it’s pink currently, in case you’re wondering) some coloured hair additions would be super cool, or perhaps female emojis with short hair, and male emojis with long hair. Also, more animals. Always more animals. As ASOS announced impressive sales over the past 6 months, noting a 10% rise in half-year profits, it left many other retailers wondering what they were doing so right. Well, according to the retail megabrand, Instagram Stories are one of their keys to sales success – with the number of people viewing its content on the platform has almost doubled in just six months. According to The Drum, ASOS’s content on the platform was viewed over 30m times, while videos were viewed more than 52m times – up from 40m in the previous half of the year. 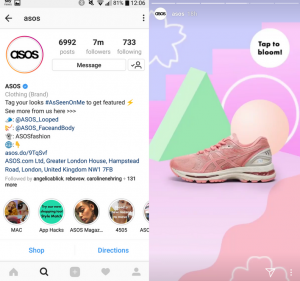 Nick Beighton, chief executive at ASOS, said that Instagram was now more popular among its core 20-something customer base than Facebook, and that’s why the brand had continued to invest in the platforms new content formats, like Stories. Head back next week for another installment of our digital news roundup, or check us out on Twitter or Instagram if you’re missing us before then – we’re a friendly bunch. 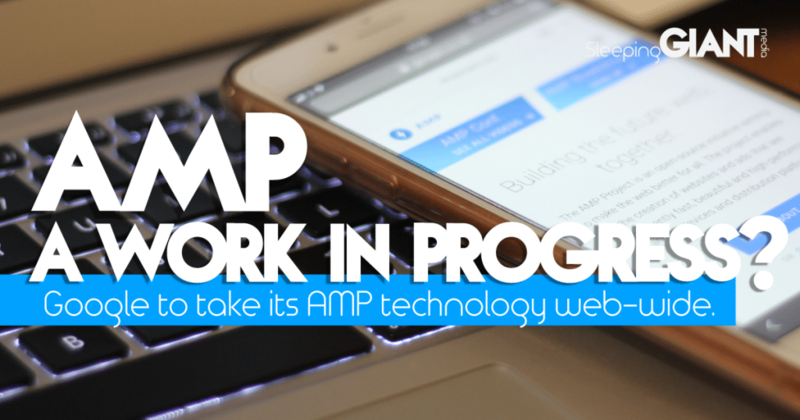 If you haven’t checked out our latest blogs, click the links below to discover more.